On Monday I decided it was time to migrate my online backup of my iPhone’s calendar and contacts from the soon-to-be-history MobileMe to Apple’s new iCloud. (Of course I backed everything up before i made the move, as I always tell my clients before they make any major change on their computers). At first everything seemed to go smoothly enough. I was able to get Outlook on my Windows 7 PC syncing with the data on iCloud. My Mac’s Calendar and Address Book programs were also syncing instantly. But the iPhone just wouldn’t sync. At all. I followed the instructions carefully. I wiped the phone and did a full restore, in case the software was damaged. Nada. It was time to call Apple Care. After several phone calls and several techs, and nearly two hours on the phone with them, I was finally advised to make an appointment with my local Apple Store’s Genius Bar for in-person help. The tech on the phone decided it must be a hardware problem. Like most people, I have dropped my phone a few times, but it never seemed to have suffered any real damage. Now I wasn’t so sure. Beau at the Upper West Side Apple Store is a very sharp guy. He ran all kinds of tests, and even tried setting my account up on a spare iPhone they use for troubleshooting. Same problem. That meant it was an issue in Apple’s servers, not my phone. Apparently during the migration from the MobileMe servers to the iCloud servers, something went haywire. The logs showed my account had been moved, but on my laptop I kept being asked to move again. After an hour and a half, Beau suggested I create a new iCloud account. Great idea! I actually already had another one that I use for purchasing music and apps in the App Store, so I made that my iCloud account. It’s a good thing too. When I got home and checked my old iCloud account, every contact was listed six times. Each time I had been asked to migrate from MobileMe, it kept copying the same data and adding it to what had already been copied. Manually sync the iPhone with Outlook one last time. Right-click (or Control-click) the iPhone icon on the left index panel in iTunes to back up all your iPhone data. Also backup up your Outlook files, in case there is a problem later. In Windows XP they would be in C:\Documents and Settings\[User name]\Local\Application Data\Microsoft\Outlook. In Vista and Windows 7 they would be in in C:\Users\[User name]\App Data\Local\Microsoft\Outlook. If you have a Google mail account, make sure it is set only to sync mail, not contacts. If you already have an iCloud account with data in its calendar and contacts, log into iCloud on the web and delete all of those contacts and calendar events. That’s to avoid duplicate entries after you merge Outlook data with iCloud. Download and install the free iCloud control panel from Apple. 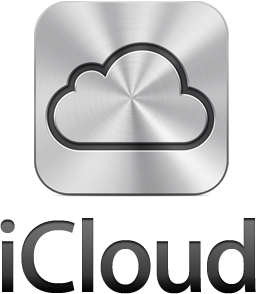 Follow the instructions to log into iCloud and start syncing. This will upload all of your contacts and calendar events from Outlook to iCloud. On the iPhone in Settings/iCloud, log in and enable iCloud syncing. If this causes duplicates, there it’s easy to undo, in which case I would take a somewhat different path. (If that happens, email me and I’ll post a fix). Should I Run Those Software Updates? Often when I work on a new client’s computer I notice that they have not run even critical updates for their operating system (Windows or Mac) or their applications (programs). They get alerts from time to time that a new update is available, but they just reflexively hit the Cancel button. I always advise them to start running the updates when prompted and install any critical updates as soon as possible. Most of those updates were designed to close security holes in the system that could be used by a hacker or malicious software (“malware”) to compromise the privacy of their data, including financial and confidential files and contacts list. Malware is also used to plant invisible software on a user’s computer so that it becomes a digital “zombie” that can be used with hundreds or thousands of other machines in concert to launch an attack on any web site the hacker chooses. These “Distributed Denial of Service” (DDoS) attacks have been used to shut down many financial, governmental and commercial web sites. At the very least, having unwanted and malicious software on your computer can slow its performance down considerably. Antivirus software helps a lot to prevent or remove malware, but the updates to Windows, Mac, and various applications give you another layer of protection. Some of the applications most frequently asking permission to install updates are Adobe Acrobat, Adobe Flash, and Oracle’s Java. These programs work closely with your web browser to display content and even run applets, or small sub-routines (mini programs) that allow you to interact with and experience the full range of functions of many web sites. Because they are so intimately involved with your web surfing, they are often targeted by hackers for potential security weaknesses that could be used to compromise a user’s system. People are often afraid to run Windows, Mac, and other updates because they once ran one and it caused a problem. While that does happen rarely, the risk of not running them is much greater. With Windows, you can always use System Restore to roll back to before the update was installed. For Macs purchased within the last five years, Time Machine can roll back to a previous state (unless you have it disabled, of course). You don’t have to run all the optional updates, but I do. I’d rather have the latest improvements to my operating system and my applications. That’s not because I want to be the first on my block to have the latest gizmo, but because I know that software companies distribute updates to improve customers’ experience of using their products. Protecting you from malicious software attacks is good business. Furthermore, just because you haven’t had a problem yet doesn’t mean prevention is unnecessary. This is one case where “If it ain’t broke, fix it anyway” applies. P.S. – One caveat: if a program update has a check box asking them to install some other program, like the Ask.com toolbar, or some other unnecessary add-on, uncheck the box before you click Next or Continue. Those things just slow down web browsing as they send marketing data about your searches and chosen sites back to their database server.